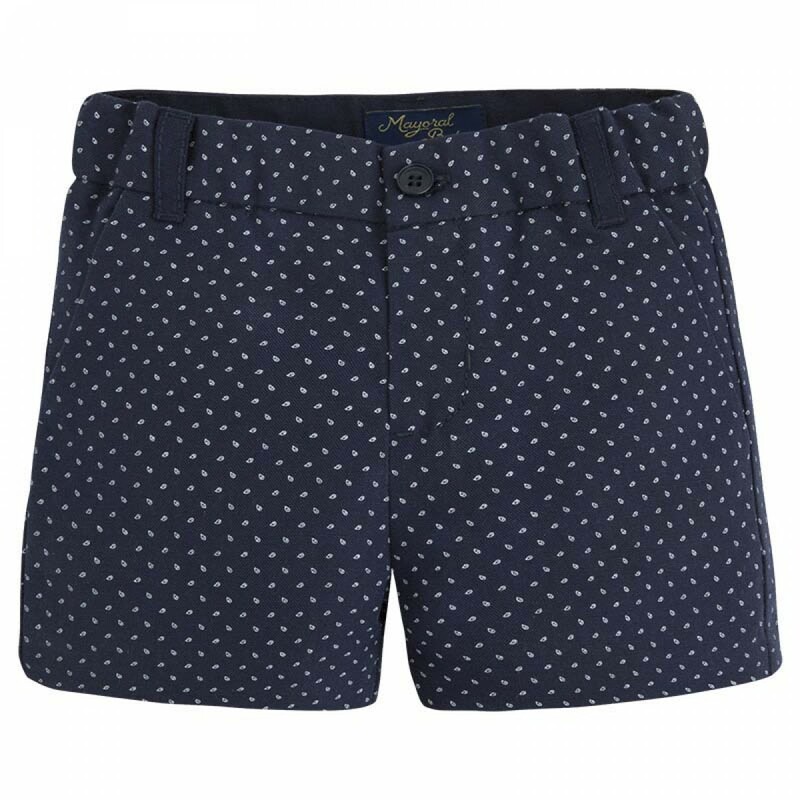 These very smart printed shorts are undoubtedly one of the highlights of the Mayoral collection for infant boys. Made in linen with a poplin lining, the vibrant patterning throughout makes these very stylish shorts a seasonal classic. Lightweight, easy to wear and made for the warm weather, he'll look amazing all summer long. The shorts are exceptionally well designed - the deep blue perfectly suits the tones of the season. The lightweight linen will ensure he's comfortable and cool all summer long. Washing instructions: gentle wash at 30 degrees, do not bleach, do not tumble dry, cool iron only.